TIM Paine will have an extra mind to turn to if he's in need of advice during the Boxing Day Test - seven-year-old Archie Schiller. Archie was listed as co-captain on the team sheet and strode out to the middle with Paine as he and Indian counterpart Virat Kohli took part in the toss at the MCG. When put on the spot and asked what message he'd given to the team before the day's play, it was clear the youngster wasn't afraid to voice his opinion. "Hit sixes and get wickets," Archie told Fox Cricket's Isa Guha. A simple game plan - but damn effective. 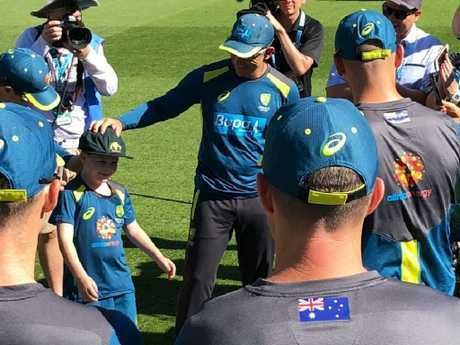 Archie's dream came true when he was drafted into the squad thanks to the work of Make-A-Wish Australia and Cricket Australia. At just three months old, the youngster was diagnosed with a heart condition, which he has battled throughout his short life, undergoing multiple surgeries. 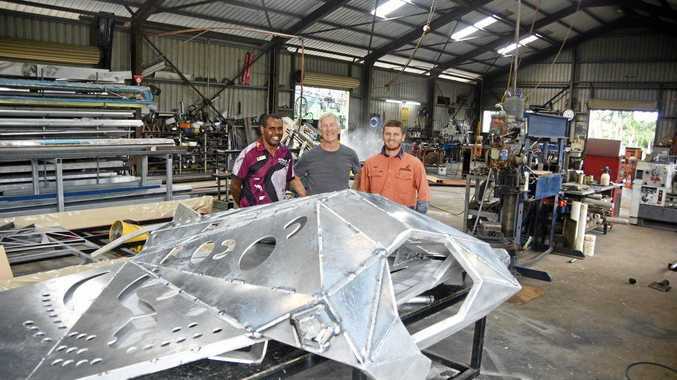 But the budding leg-spinner, who is a cricket tragic, has kept overcoming his health obstacles and now he'll be helping the Aussies clear a hurdle in Melbourne. At the toss Paine said Archie told him he should definitely bat first if the coin fell his way, even if the skipper wasn't sold on the idea. "Archie wanted to bat, 100 per cent, but I told him that I wasn't entirely sure," Paine said. Archie's been heavily involved in the build-up, meeting his idols ahead of the first Test in Adelaide before re-joining the camp in the Victorian capital. 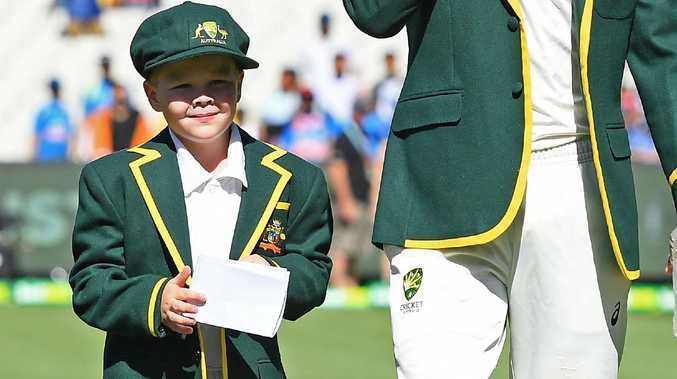 And on the biggest day of the Australian cricket calendar, Archie received the greatest honour of all - a baggy green. Archie was living out a dream. Archie stood with the team as the national anthems were played, kitted out in his full whites and chatting to Nathan Lyon once the music stopped. The Australian cricket community had already fallen in love with Archie before a ball was bowled on Boxing Day.